Got Mosquitoes? 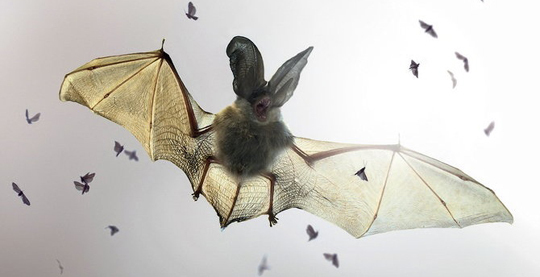 Act Now to Help Save Insect-Eating Bats! Okay, so mosquitoes might be the last thing on your mind during these bitter winter months, but you know as soon as warmer weather arrives, and you want to get back out in the garden, they’ll be out there with you. Here are some tips to reduce the future numbers of mosquitoes, stink bugs, and insects that cause damage to agricultural crops. Unfortunately, our bat populations are declining significantly due to habitat loss and white nose syndrome (WNS). White nose syndrome has already killed millions of bats in North America and affects them when they are hibernating in the winter. Don’t use pesticides (herbicides, insecticides, fungicides). You’ll also help declining butterfly and bee populations. Celebrate bats at events like Bat Fest in Austin, TX or the Indiana Bat Festival! Stay out of caves and mines where bats may be hibernating. If disturbed and awakened, the bats will likely starve to death due to lack of food at this time of year. Plus, you might spread the White nose syndrome. Sign this petition to asking the Fish and Wildlife Service to help protect bats from extinction.